Wayne County farmer Jonny Harris noticed long ago that feeding winter cover crops to his cattle improves their diet, his fields and his bottom line. He wanted to show other southeastern Georgia farmers they can reap the same benefits, but he knew he needed more evidence than decades of personal experience. Last summer’s rain combined with this winter’s frigid temperatures have left cattle suffering and Georgia cattlemen seeking answers. 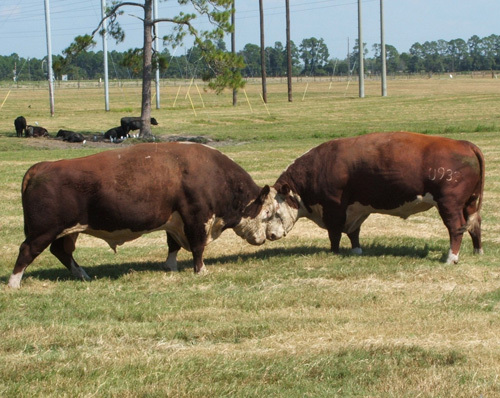 Georgia cattlemen are struggling to feed their herds and fighting the affects of poor quality forages. With calf prices at a high, selling off stock may be the best option, says one University of Georgia expert. Poor hay quality due to last year’s increased rainfall, has Georgia cattle farmers searching for alternative ways to supplement the hay they feed their herd. 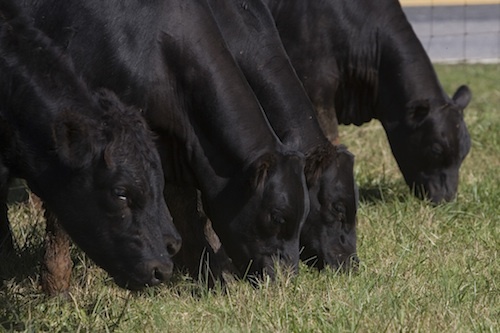 When the first frost hits, beef producers should be concerned for grazing cattle if the field contains johnsongrass. Cattle may suffer from prussic acid poisoning caused by this grass. Thousands of high school and college students visited the University of Georgia building at the Sunbelt Ag Expo in Moultrie, Ga. last week. When it comes to feeding hay to animals, not all hay is the same. Farmers who grow hay, and those who buy hay for their livestock, rely on a grading system called the Relative Forage Quality (RFQ) index to guide them on which hay to buy. From observations out in the field this summer, I would say the most persistent weeds farmers face in pastures and hayfields are horsenettle, crabgrass and Johnsongrass. These three plants are persistent by nature and may prove difficult to control. University of Georgia Extension will offer the Master Cattlemen’s Program this fall in Jackson County. The program will be held on Thursdays from 6:30 p.m. to 8:30 p.m. beginning Aug. 22 and ending Oct. 10. The Middle Georgia Hay Field Day will be held on Aug. 6, 2013 at County Line Farm in Lamar County. 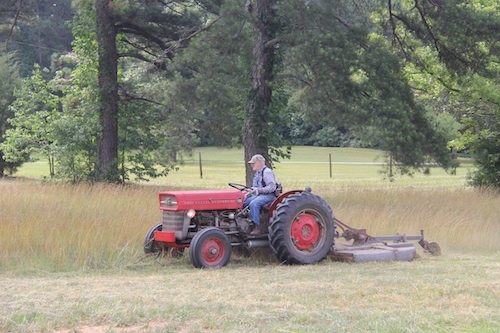 Hosted by the Upson County and Lamar County Extension Offices, the field day will begin at 9 a.m. at the farm site located at 1693 Ramah Church Road in Culloden, Ga.